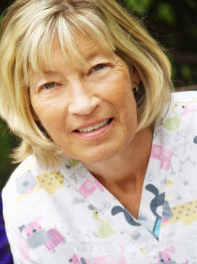 Dr. Margie Garrett is passionate about keeping herself and her staff current on all the most recent information for the best care to help your pet thrive. 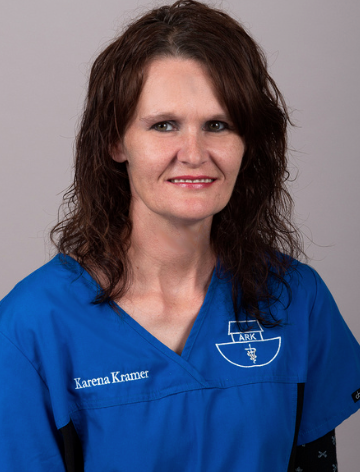 She graduated from University of Kentucky in biology, zoology, and pre-med; Purdue University School of Veterinary Medicine in 1992; the CHI Institute in acupuncture and Traditional Chinese Veterinary Medicine, Herbal therapy, and Tui-na massage; Options for Animals certified in Animal Chiropractic, and is attending the University of Tennessee program in Animal Rehabilitation. The new Underwater Treadmill is a reflection of this training. 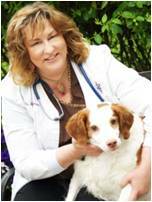 She is an active member in the AVMA, AHVMA, AAVA, IVAS, AATCVM, IVCA, and SWIVMA. She practices homotoxicology and is familiar with homeopathy, Bach and other flower remedies, and aromatherapy. I have worked with Dr. Garrett at ARK Veterinary Service since 1999. Originally from Ohio--"Go Buckeyes!" I have lived in Newburgh, IN since 1992. I have 3 daughters and 6 grandchildren and 2 rescued kitties, Grey and Buff. I enjoy NASCAR, drag racing, and attending my grandchildren's many and varied extracurricular activities. I look forward everyday to hearing from our long-time clients and enjoy meeting our new clients and all of their furkids. I keep the office running smoothly and organize just about everything! I graduated from Bel Rea Institute in Dec. 2009, in Colorado. I moved home to Peoria, Illinois and worked with a few clinics before making my move to my new hometown of Evansville, In. At Ark Veterinary Service, I enjoy helping patients and facilitating rehabilitation, acupuncture, and the specialized modalities that we perform here. I am the advanced dental technician and teamed up with the rest of the technical staff, I direct patient care and wellness. I LOVE the big dogs! I have an English Mastiff named Lambeau, (Go, Pack, Go), and Mike Mills is my husband. I have a daughter who is 5, and she loves to play with the dogs, as well! In 2010, the culmination of my love for animals led me to pursue the profession of Veterinary Technology. As a Vet Technician, I am a professional part of the veterinary team and a fulfilled animal lover. (I love to put lipstick all over your dogs, so no alarms if the head is pink! I especially enjoy snuggling toy breeds!) I am originally from Kentucky, and I have lived in Tulsa, Oklahoma for 20 years running my own business. I have returned to this area to be closer to my family. 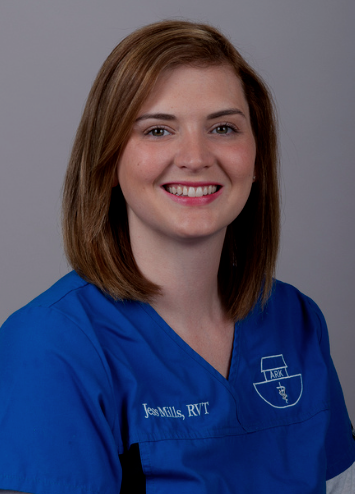 I graduated in 2013 from Harrison College of Veterinary Technology and started working at ARK. I have 6 rescue dogs and each and every one has thrived despite their rough beginnings. I look forward to helping you achieve the best your pet can be in health. I have lived in Indiana all my life. I have been with ARK since 2003. 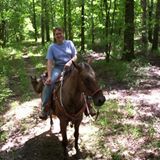 I love to horseback ride and camp, so say "Hi!" when you see me on the trails!